CPW 2019 is happening this week, starting on Thursday! 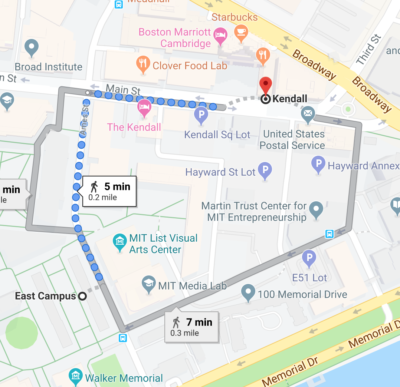 There are hundreds of student-run events to welcome the class of 2023 and help them figure out if MIT is the right place for them. 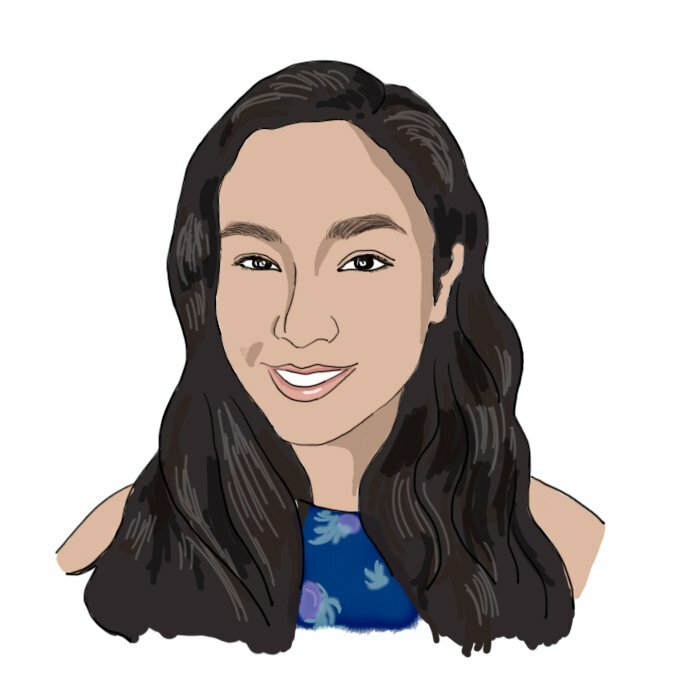 This amazing blog post by Yuliya K. ’18 has (almost) all the logistic info you need to have an excellent time! The one thing her post is missing is a section called “how to get home when you oversleep and you have a morning train to catch” so I have put some instructions below. Screw up. I stayed up super late – like, 5AM late – talking to students on Saturday night of CPW. When I finally went to bed, I was exhausted. I fell into a deep sleep. (Even if my alarm had gone off, I’m not sure I would have responded to it.) I did set an alarm before going to bed. I even plugged my phone into its charger. My big mistake was not actually plugging the charger into the wall. So, my phone died and my alarm did not go off. Regain consciousness. Dead phones can’t make noises. But a concerned person can. I woke up to someone – to this day I don’t remember who – pounding on the door of my host’s room. Waking up to a loud banging noise is a pretty good sign that you have screwed up. At first, my tired brain tried to ignore the noise and assumed it was just some crazy CPW event. When I finally did wake up, I leapt out of bed and answered the door. Figure out the damage. On the other side of the door was a person with a clipboard. “Your friends called us and said you have a train to catch” they said. I asked the person what time it was (it was about 9AM) and if my friends were outside (they were not). I realized I still had a small chance of making my train, which was scheduled to leave at 9:30AM. My head was full of questions. Who was this person? Why did my friends call them? Why hadn’t I woken up to my alarm? I closed the door. Panic! Panic! Panic! I located my phone and actually plugged my charger into the wall. Then I started running around the room, trying to pack up all my stuff. It was so hard to shove my sleeping bag into the little bag I had carried it in. Each precious second it took for me to punch it into place felt like several minutes. Feel bad. Fun fact: I had been the travel coordinator for my friend group (Kathryn Z. ’22 and Emily H. ’22), so I had printed out all of our train tickets and told my friends not to worry about printing their own copies. My friends probably had PDF versions of their tickets on their phones, but I felt pretty bad for having told them not to worry about printing stuff since I might miss our train. Once my phone turned on, I saw dozens of missed messages and calls from my friends. Kathryn had taken the T to the train station and was waiting there. Emily was waiting for me at Kendall (a T station close to MIT). My guilt over the tickets worsened as I realized Emily could end up missing the train because of me! Ask your host for help. My host saw me panicking and asked me what was going on. 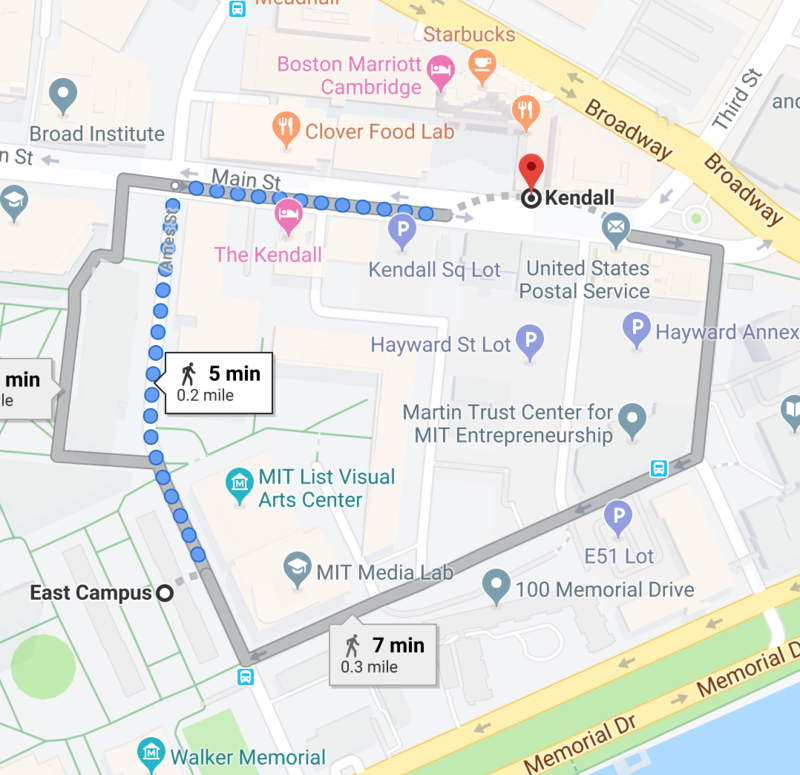 “It’s 9:10,” I said, “and I have to go to Kendall, meet my friend Emily, and then take the T to Back Bay to catch our 9:30 train!” My host looked uneasy. “The T might not be the best way to go.” she said. “It could run late. You should take an Uber.” I didn’t have Uber. She called one for me, telling it to go Kendall where my friend was waiting. I texted Emily to tell her an Uber would be arriving there and that I was on my way. Get lost. I had an Uber to catch! I sprinted out of East Campus, arms full with my suitcase, backpack, and sleeping bag. As I ran, I realized I had no idea where Kendall was. In my panic, I had forgotten to ask. I slowed to a walk and pulled out my phone. But it only had been charging for, what, like 10 minutes? As I opened my Google Maps app, my phone froze in the way it normally did just before it died. Before I could finish typing “Kendall” the screen went black. My dead phone had foiled me again! Fail to know yet another critical detail. Just as I went to close my laptop, an iMessage from Emily popped into the corner of my screen. “What color is our Uber?” she asked. I realized I had no idea. I closed my laptop, shoved it back into my bag, and ran as hard as I could towards Kendall. Run!!!!! Run! Left leg, right leg, left leg, right leg! As fast as possible! Sweating is a sign that you’re doing it right! Allow a miracle to happen. As I turned onto Main Street towards Kendall, I saw Emily getting into an Uber. She had somehow found the right car. I got in, shut the door, and somehow made it to Back Bay in time for us to get on the train home. Do not tell your parents how much you screwed up. I did not tell my parents about this when I finally got home. I wanted them to think I was “mature” and “not a total mess” so, ya know, it didn’t really come up when they asked how CPW went. Have fun at CPW, y’all. Just not too much fun that you can’t get home! You’ll be trapped at the Institute before you know it, so go home while you can.